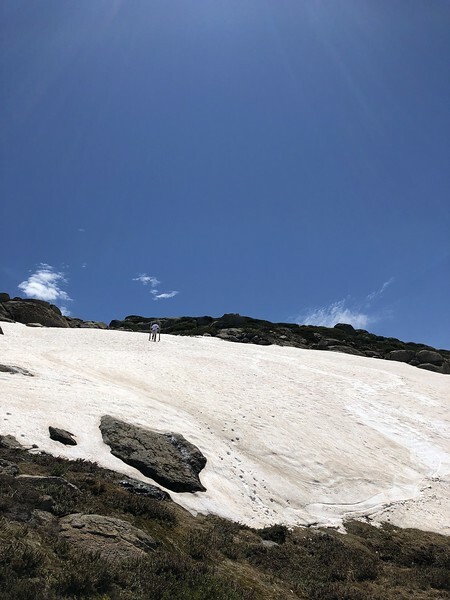 Nothing to do with snow, more to do with the snowy regions, but we could see some record-breaking temps over the Snowy Mountains regions in the next few days - 27C at Perisher, 29C at Cabramurra, 26C in Mount Hotham (31C in Dinner Plain! 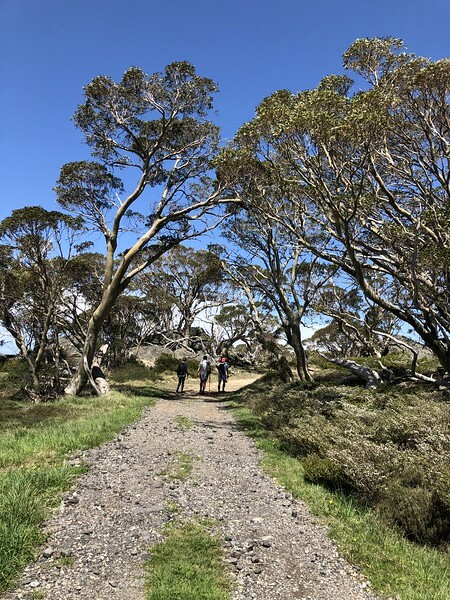 ), 30C in Thredbo Village. Crazy to think some of these places were below 0 only a couple of days ago. 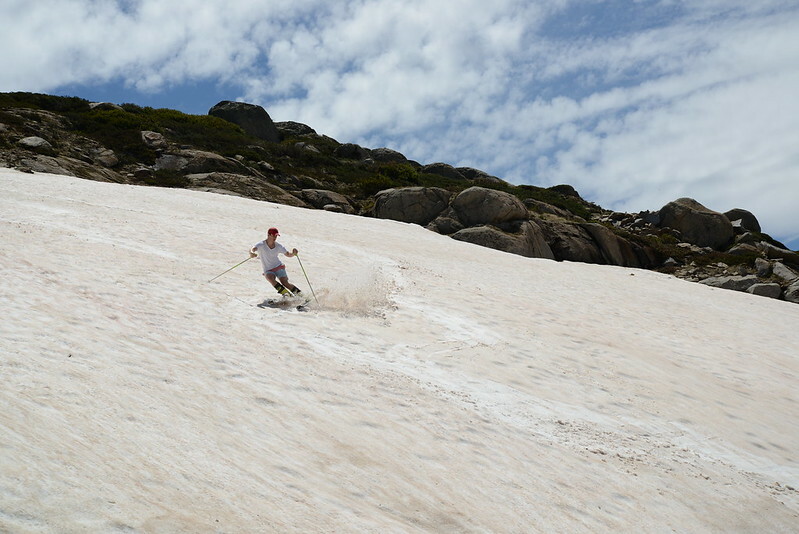 For something slightly different, here are a few shots from a month ago - 9 December to be exact and my first time skiing in summer in Australia. We were up there for other reasons but I found some old skis and boots in the workshop and couldn't resist - 10/10 novelty value! Room for about 10 turns up near the top of the Perisher FV quad. A bit clattery on the piste, was it? 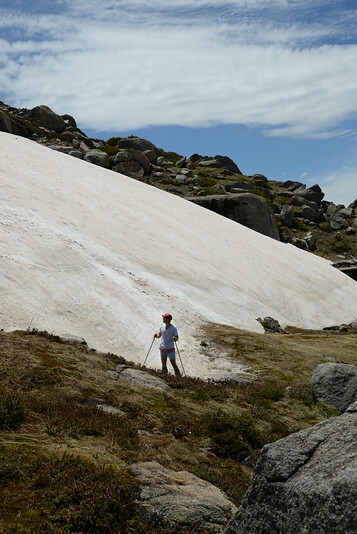 I got snowed in at Charlotte Pass for a New Years Day (admittedly, for a morning only) a long time ago. Took the kids along the Main Range from Mt Carruthers. There were small blocks of ice floating down the Snowy and they mutinied. So I had to piggyback the three of them across one at a time. Haven't hiked there for a long, long time, but in those days, we had to wade across the Snowy - about knee deep water. Nowadays, I only experience water at that temperature in a GT. 4 registered (Tempest, Lee@Hazo, avalon, 1 invisible), 57 Guests and 3 Spiders online.